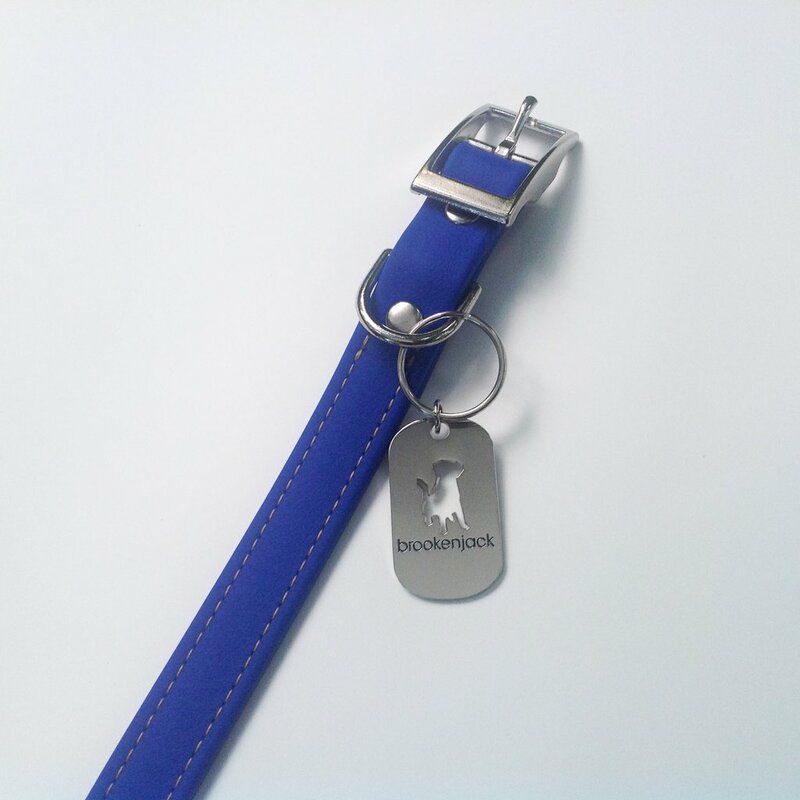 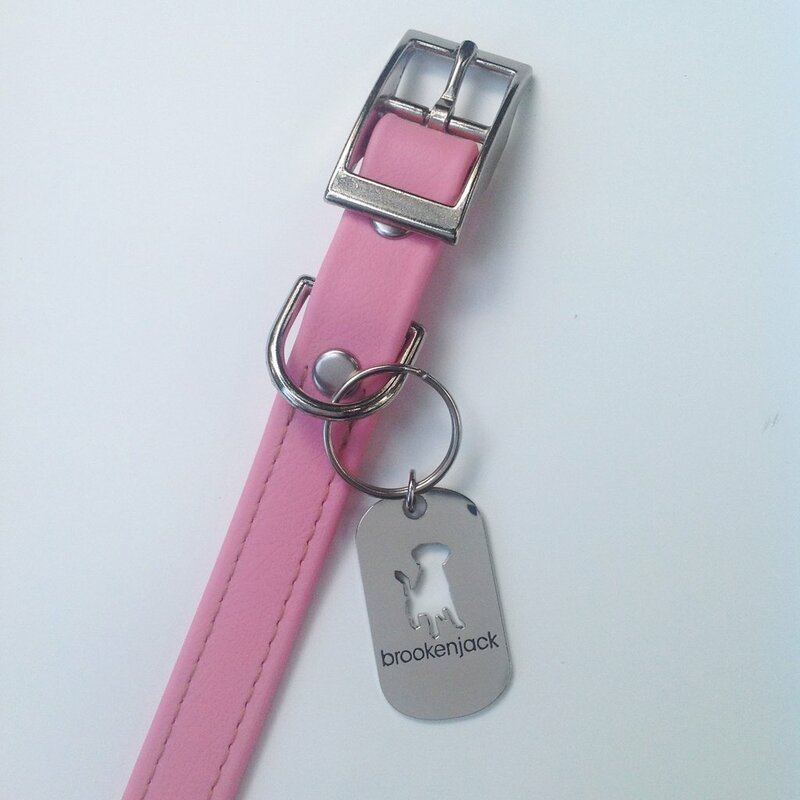 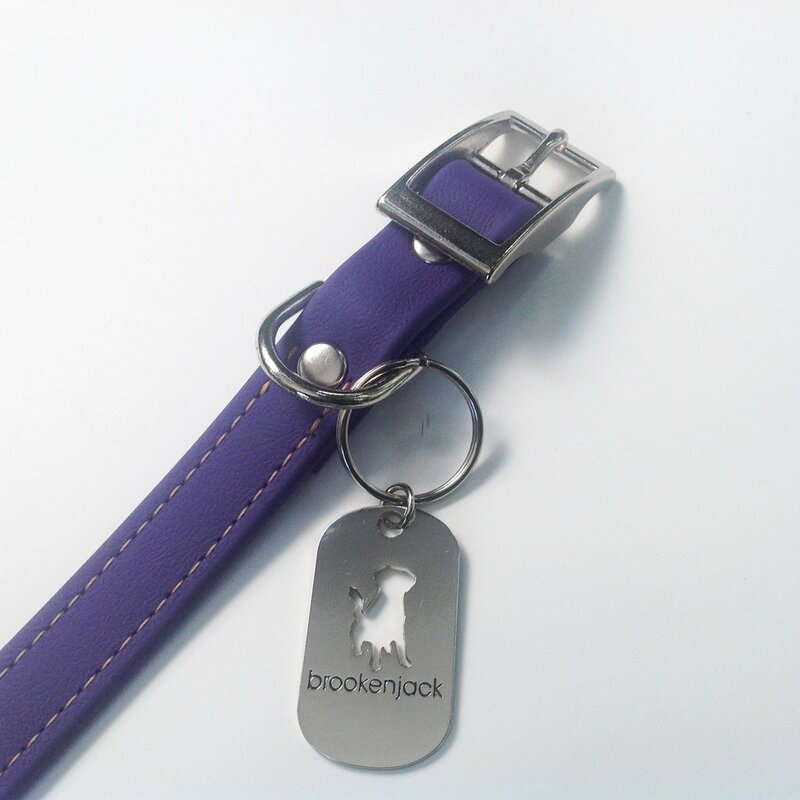 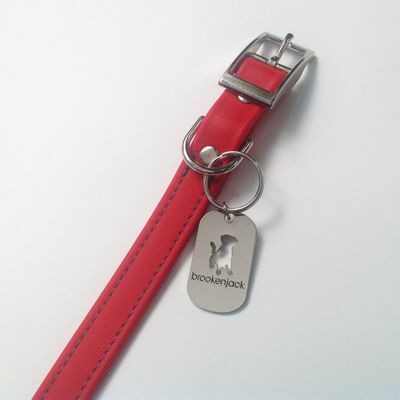 Brookenjack luxury waterproof dog collars are made of a durable, flexible coated webbing. 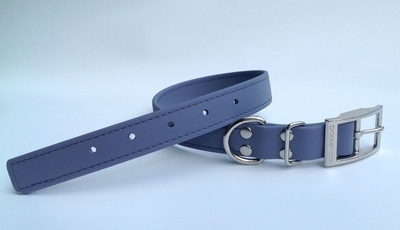 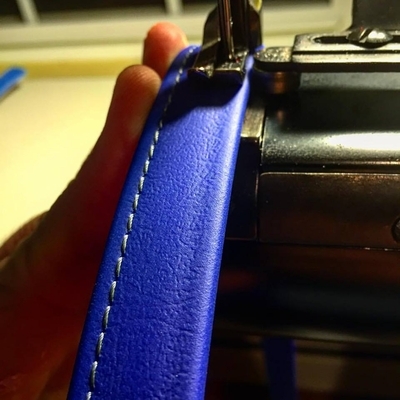 The material is strong with the look/feel of leather and also resists water, sunlight, bacteria and mold. 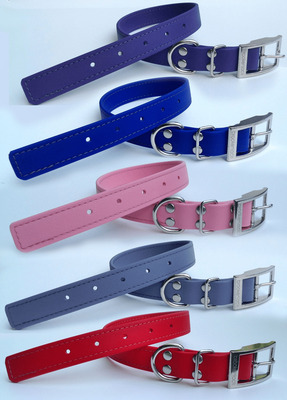 The collars are top stitched with strong bonded nylon thread giving them a unique classic look. 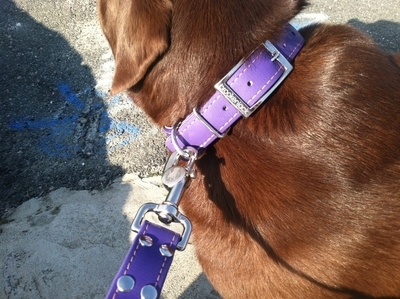 High-end nickel plated hardware is secured in place with six double capped rivets to finish off the look. 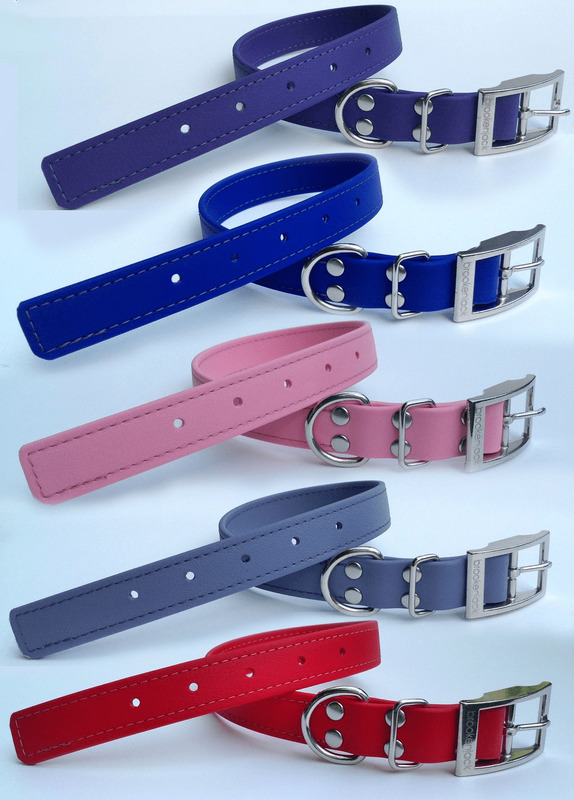 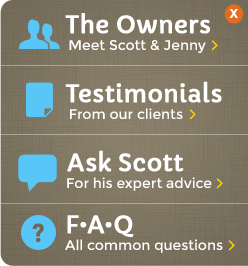 These dog collars are low maintenance and clean easily with soap and water. Go for a long walk in the rain, a roll in the mud or a swim in the ocean - this collar will come out looking like new every time.